I debated about posting this because I know I will anger some of my teen readers and clients who are very much a part of the teen pot culture and do not want to get busted. Unfortunately, pot is everywhere and many teens (some of my friends included) consider it a very tame habit. 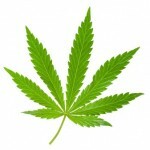 In fact, many of my friends vehemently refuse to smoke cigarettes, but love smoking weed. I want to explain the pot culture a bit for parents and give some warning signs–many of these are no different from when parents were teenagers, but it can never hurt to be reminded. The Forms: I am no expert on this, but I do know that there are different qualities of weed (in leaf form) that you can buy. High quality weed, the more expensive kind has high levels of THC and gives a ‘good high.’ Also different kinds of weed can give different kinds of highs, quick high, long lasting, etc. Poor quality weed can give headaches because it can sometimes be laced with other substances. Joint– Putting weed in rolling paper sometimes with a ‘filter’ made of cardboard, (looks like a hand-rolled cigarette). Spliff — Half tobacco, half weed joint usually in a modified cigarette or with rolling paper, often used to cover the smell of the marijuana. Bong — A long cylindrical glass jar where the marijuana smoke is inhaled from the canister. Pipe — There are small and big ones, it is basically a tobacco pipe for weed. Vaporizer: A way of smoking weed without smoke. This machine heats up the marijuana so just the THC is burned off in a vapor and inhaled. (minimal smell and better for the lungs). Edible Stuff (aka ‘laced’ food): Brownies, cookies, I have seen truffle pasta made with the oil from cooked pot. Hookah: Many teens now go to cafes or bars where there are hookah’s with flavored, usually fruity tobacco. Teens can buy their own hookahs and add pot to the flavored tobacco, which covers the scent. Medicinal: If teens can get their hands on a marijuana prescription then they can eat marijuana energy bars, pills and chocolate infused pot. The Warning Signs: If they come home smelling like: pot (obviously), cloves (clove cigarettes are often used to cover up the smell of pot), hookah tobacco (also used to cover up the smell of pot), lots of mint (many of my teen friends will literally shower in Listerine and gum before they get home), loads of perfume or cologne. Extreme ups and downs: Some of the pot smokers I know smoke so often, that when they are not high their personalities are extremely different than when they do smoke. Of course, mood swings are a typical part of teen life, but if you notice shortened attention span and extreme changes in energy level or personality, this could be something to look into, whether it is pot or not. Please, please, please do not freak out if you find eye drops in your kids purse or pockets, there are many reasons why your teen might have some of the signs above, but I think it is just important for parents to be aware. To be honest, whether it is marijuana or not, many of these signs also might signify that someone needs help (mood swings, cigarettes, odd behavior, lack of attention). These things, drug related or not, should also be discussed with your teen. Please do pass this around to other parents so that we can get the warning signs out there. While I don’t recommend kids smoke pot, lets be a tad realistic here, shall we? Your musings on the mood swings of cannabis users show that you have encountered very few if at all any in your life. I find that the mood swings are far more consistent in ANY teenager, especially teen girls (not sexist, stating reality), so I don’t think that’s at all accurate, fair or correct in any way. Secondly, as I said in my post about vaping and e cigarettes, why is euphoria so bad? have you looked at the world lately? War, unemployment, militarized police, increased demands to get into a college and how to pay for it….give the kids a break. Besides, I’d far prefer a kid smoking pot than taking a prescribed SSRI. Thanks for sharing this with parents. There’s another word people should know, which is “blunt.” A blunt is a short cigar, but in my local high school, it is also a term for a larger-than-average joint made of pot wrapped in a tobacco leaf. To parents, it would look like a cigar.